Murdoch Psychiatrist is a private psychiatric clinic providing a professional and caring mental health service. There is a significant gap in level of private psychiatric care in south of Perth as all the major private psychiatric centres are located in the north. We endeavour to provide every patient with a safe, comfortable environment closer to home, so as they can work with us for a better future. 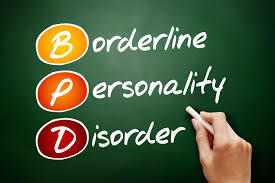 We specialise in all range of general Psychiatric disorders including anxiety, Mood spectrum including treatment resistant depression, ADHD/ADD, Schizophrenia and other generalised psychiatric disorders. Our team also provide medico-legal opinions, occupational health assessments, workers compensations and others. We are dedicated to provide you with the best possible care and service throughout. At every stage, you are at the centre of our process and you are what motivates us to reaching new dimensions in mental health care. To provide best quality of mental health care to South of Perth......We will always keep our patients at the centre of process and provide patients with the best possible care in their journey of wellbeing. Small Gap, our fees are on the lowest end of AMA spectrum. Small Wait list-We have emergency slots and commit to provide routine appointments within 2 weeks. We are located in heart of south metro...Wexford Medical Centre. We are easily approachable by public transport or use our plenty of paid parking. The centre has a lift, coffee shop and in house pharmacy as well.